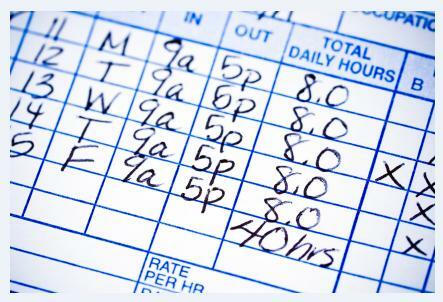 Payroll: By accurately tracking clock-ins and clock-outs, you’ll know that your employees are being compensated properly. Client Billing: The majority of homecare clients are billed based on the number of hours that care is provided. Thus, caregiver clock-ins and clock-outs are imperative to correctly billing your clients and ensuring their confidence in your services. Shift Coverage: Knowing that a caregiver has arrived at the home of their senior client lets you know that they are on-duty and their shift is being covered as promised to your client. Scheduling: Effectively tracking the hours that your caregivers have worked allows you to arrange schedules to avoid overtime, shift overlap and allow for vacations and days off. While, as a homecare manager, you know that managing caregiver hours is an important part of your business, finding the best ways to do so can be confusing. Here are a few tips that will help you manage your employees, while providing peace of mind to your clients that they are receiving scheduled service and being billed fairly. By taking advantage of a homecare software, like ClearCare, that offers electronic scheduling functions, you’ll be able to track caregiver shifts in one location. ClearCare offers functionality that allows homecare managers to enter caregiver shifts, view calendars of currently scheduled shifts, and look for available employees for those last minute needs. ClearCare also makes shift records available on any computer, at any time, with secure administrator log-ins, meaning that neither you nor your caregivers have to be at the office to check schedules! While every employer hopes that their employees will remember their shifts, it’s important to factor in human error. Forgotten shifts may mean that clients are left alone and without the care they need. These mishaps create a tremendous liability for you and your agency. By sending shift reminders to your caregivers the evening before their scheduled work times, they’ll have an automatic work reminder. ClearCare’s homecare software provides administrators with the tools to send automatic text message shift reminders and directions at 5 pm each evening, so you’ll never have to worry about your caregivers remembering upcoming shifts. Although you can’t place a timeclock in every client’s home, it’s important for you to know just when your caregivers are beginning and ending their shifts. ClearCare allows for caregivers to clock in via telephony, by calling an assigned number when they arrive at the home and simply following voice prompts to clock-in and out, or via an online system accessible in the field via iPad, other tablet or a smartphone. After caregivers have clocked-in, the time will be immediately available to you, as an administrator, and any family members given access to the ClearCare system. You’ll also be notified of any missed clock-ins so that a replacement caregiver can be found right away if an employee fails to show for their shift. While the vast majority of homecare caregivers are committed to providing stellar service to your clients, ClearCare is committed to helping you manage all of your employees more efficiently and effectively in an effort to make your agency stand out among the crowd.